Welcome to It's A Blast! Home of the Paper Rocket ! Selling rockets & launchers since 2002 !! Rockets are sold in boxes of 100 and come with the nose cone already glued in. They are ready for you design and attach your fins. They’re as easy as 3… 2… 1… blast off! 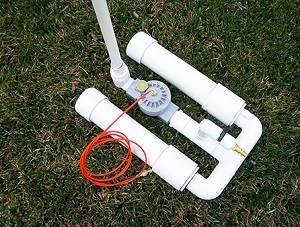 Our rocket launchers work best with an air compressor but it is possible to use them with a bicycle pump. Rockets can be launched over and over again with no explosives and no expensive engines to buy. Converting your rocket launcher to launch race cars is a fun and easy upgrade. The converter will launch 2 cars at a time. 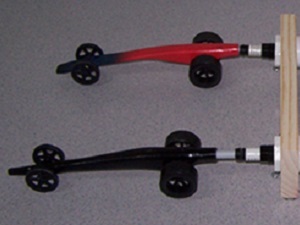 The cars are like a cross between pinewood derby and CO2 dragsters. Cars are attached to a fishing line like a CO2 dragster but they do not require any CO2 cartridges. We had a kid tell us that it was the best day of his life, even better than Disney World, because Disney World doesn’t have rockets. This website and what they sell is awesome! My boys love it! If you’re looking for fun you’ve come to the right place! 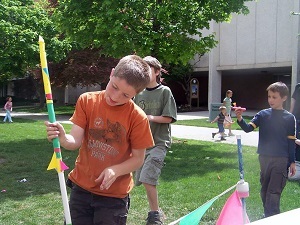 Rockets reach heights of up to 300 feet. Please call, we would love to answer any questions you may have !